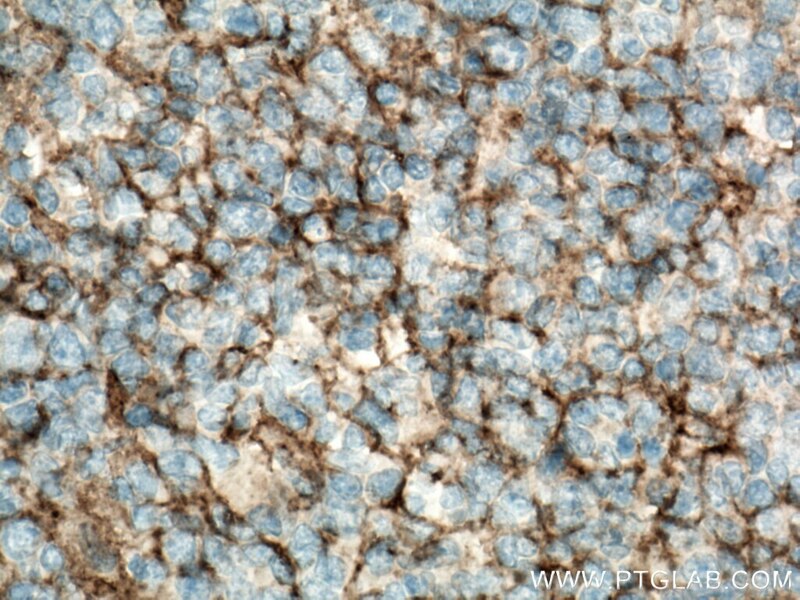 Immunohistochemical analysis of paraffin-embedded human tonsillitis tissue slide using 10248-1-AP (CD82 antibody) at dilution of 1:200 (under 10x lens) heat mediated antigen retrieved with Tris-EDTA buffer(pH9). 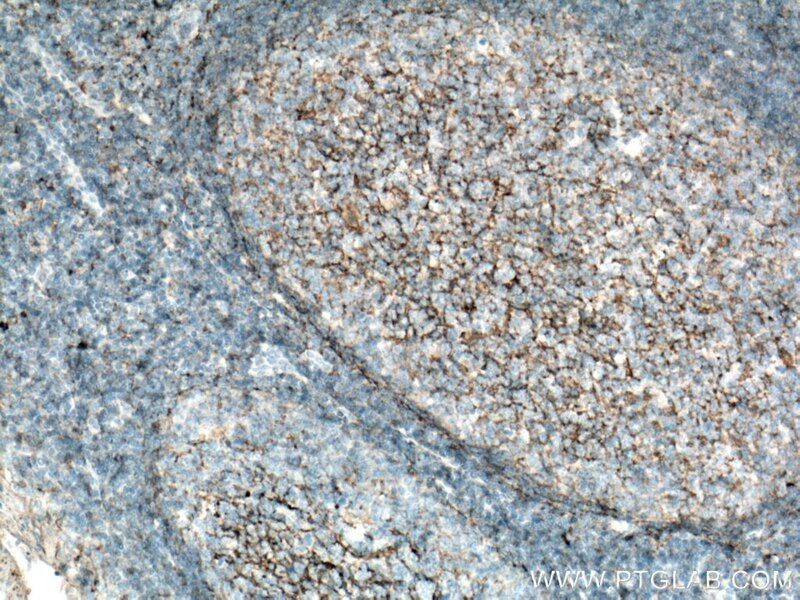 Immunohistochemical analysis of paraffin-embedded human tonsillitis tissue slide using 10248-1-AP (CD82 antibody) at dilution of 1:200 (under 40x lens) heat mediated antigen retrieved with Tris-EDTA buffer(pH9). CD82 is a membrane glycoprotein and belongs to the tetraspanin superfamily, many of which are implicated in the regulation of cell motility, morphology, fusion, signaling, fertilization, and differentiation. 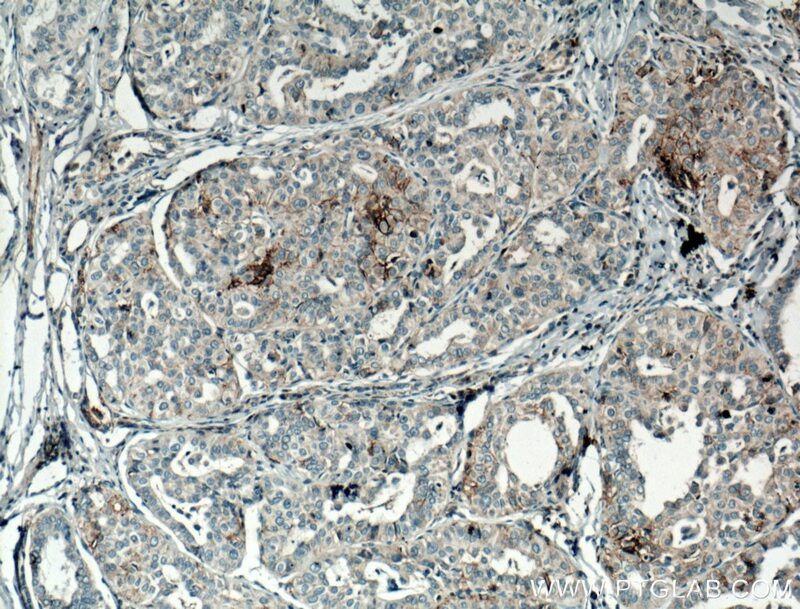 CD82 was originally identified as a suppressor of metastasis located on human chromosome 11p11.2 in prostate carcinoma. The majority of evidence indicates that CD82 expression is downregulated or abolished in a variety of malignant tumors. 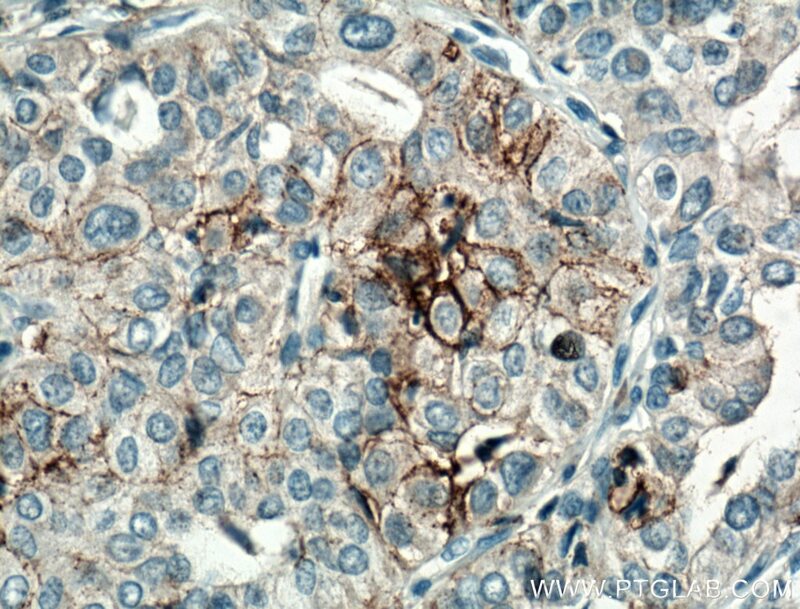 CD82 is present at high levels in human monocyte and macrophage lineages and in various epithelial cells in the prostate, lung, pancreas and many other tissues. In epithelial cells, CD82 is implicated in diverse biological processes such as cell adhesion, migration, apoptosis and morphogenesis. 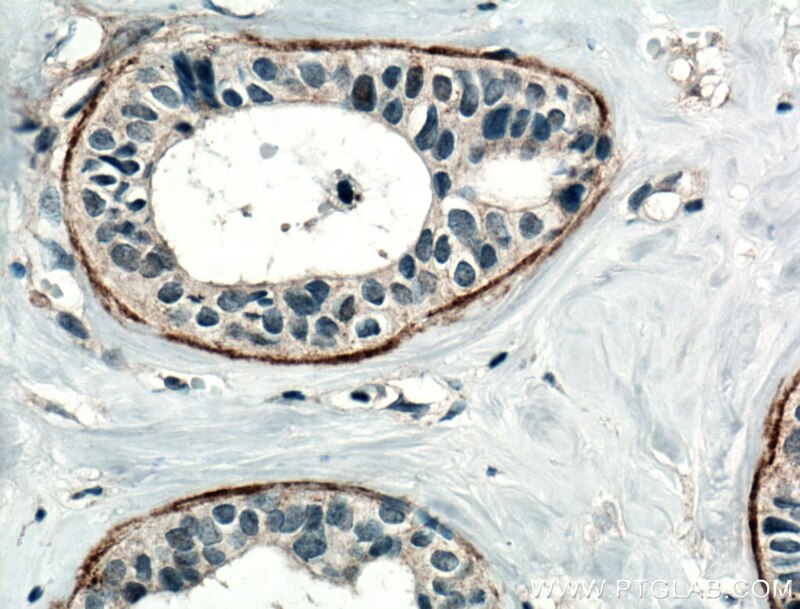 Immunohistochemical analysis of paraffin-embedded human breast cancer tissue slide using 10248-1-AP( CD82 antibody) at dilution of 1:200 (under 10x lens) heat mediated antigen retrieved with Tris-EDTA buffer(pH9). 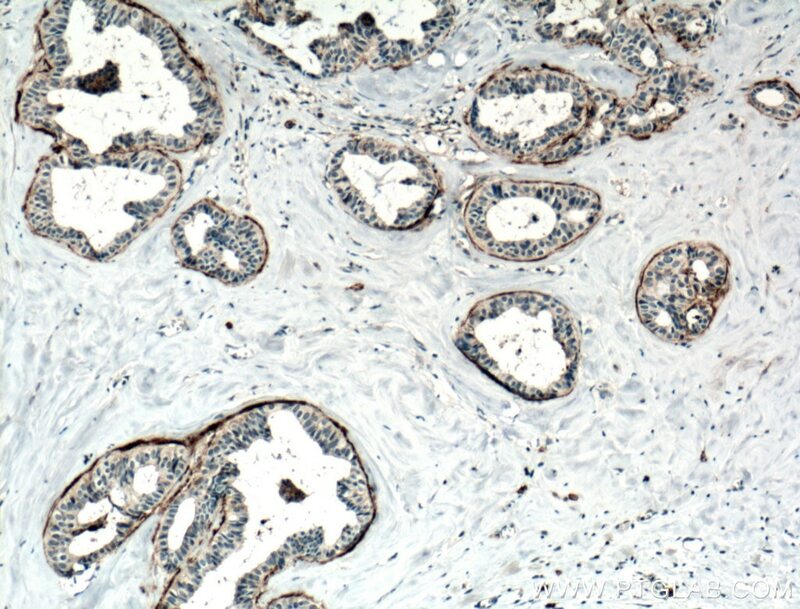 Immunohistochemical analysis of paraffin-embedded human breast cancer tissue slide using 10248-1-AP( CD82 antibody) at dilution of 1:200 (under 40x lens) heat mediated antigen retrieved with Tris-EDTA buffer(pH9). 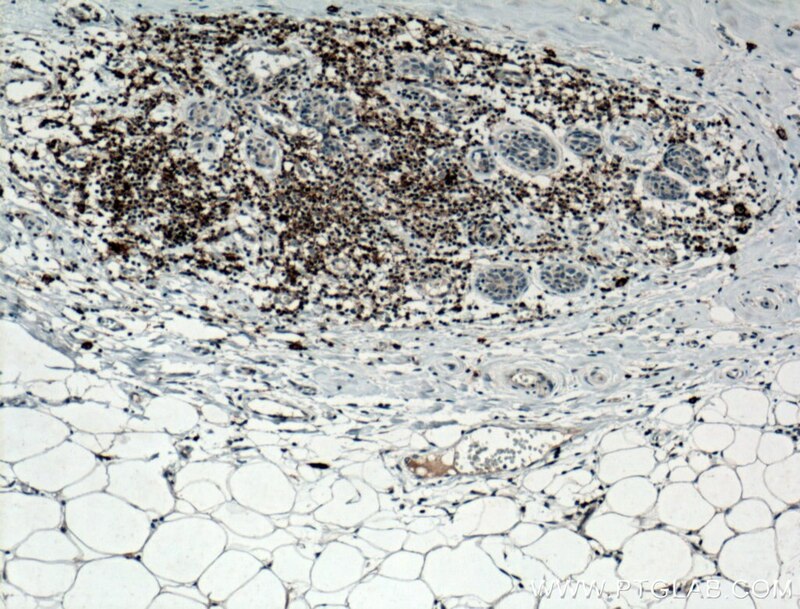 Immunohistochemical analysis of paraffin-embedded human thyroid cancer tissue slide using 10248-1-AP( CD82 antibody) at dilution of 1:200 (under 10x lens) heat mediated antigen retrieved with Tris-EDTA buffer(pH9). 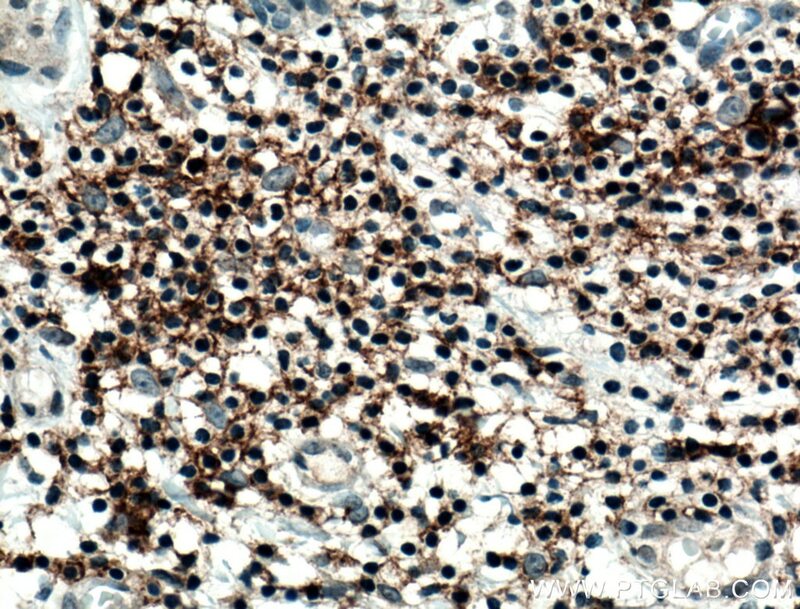 Immunohistochemical analysis of paraffin-embedded human thyroid cancer tissue slide using 10248-1-AP( CD82 antibody) at dilution of 1:200 (under 40x lens) heat mediated antigen retrieved with Tris-EDTA buffer(pH9).